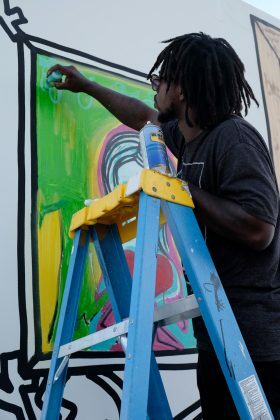 Artists participating in Art Wynwood collaborated in creating a mural to pay their respects to the victims of Marjory Stoneman Douglas High School tragedy and their families. 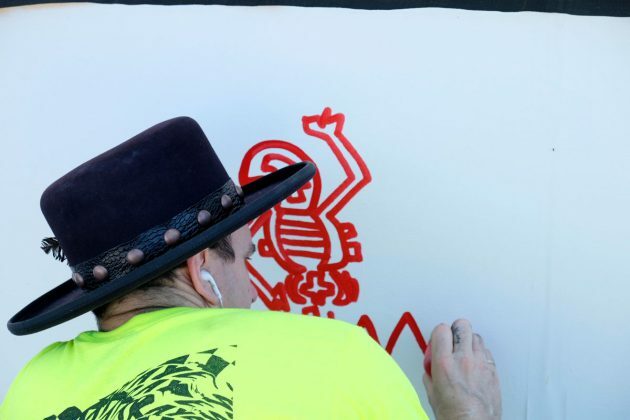 Street artists Al Diaz, Danny Minnick and Edwin Baker created a special mural on the Art Wynwood tent on Sunday to address the recent school shooting at Marjory Stoneman Douglas High School. Al Diaz is a New York based artist and along with Jean-Michel Basquiat was the creator of SAMO, and he flew to Miami to create the piece and pay his respects to the tragedy that occurred on Wednesday February 14th, 2018. The mural was created at Art Wywood which is celebrating its seventh year at a new location, one that housed Art Miami and Context during Miami Art Week 2017. 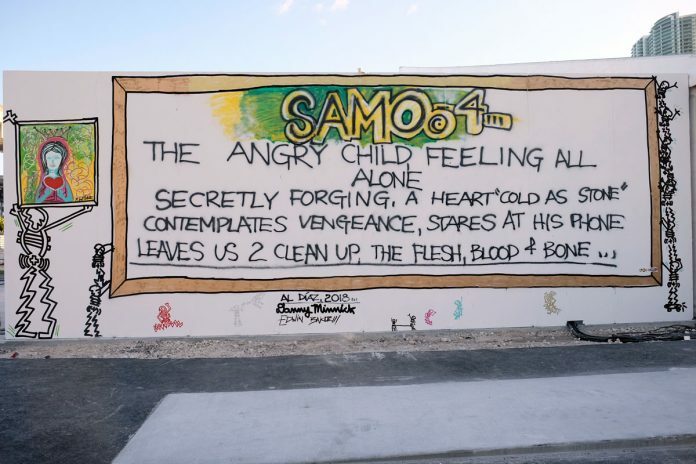 The mural reads: Samo 4 the angry child feeling all alone secretly forging a heart “cold as stone” comtemplates vengeance, stares at his phone leaves us 2 clean up, the flesh, blood & bone. Student survivors of the deadly Florida school shooting hope to become the face of a revived gun control movement. In addition, in response to the tragedy, Art Miami LLC will donate half of all box office proceeds generated during Art Wynwood to victims and their families of the Marjory Stoneman Douglas High School tragedy. 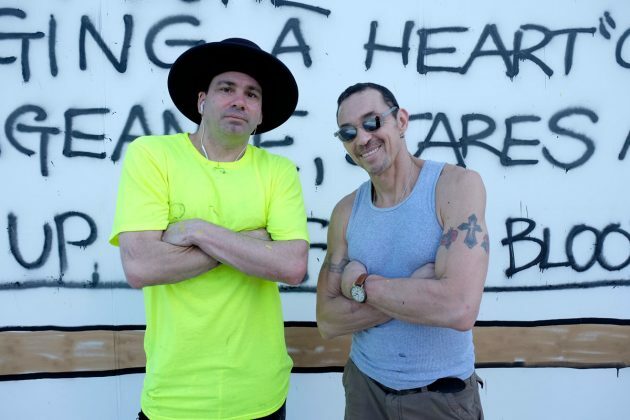 Danny Minnick and Albert Diaz posing in front of their mural. 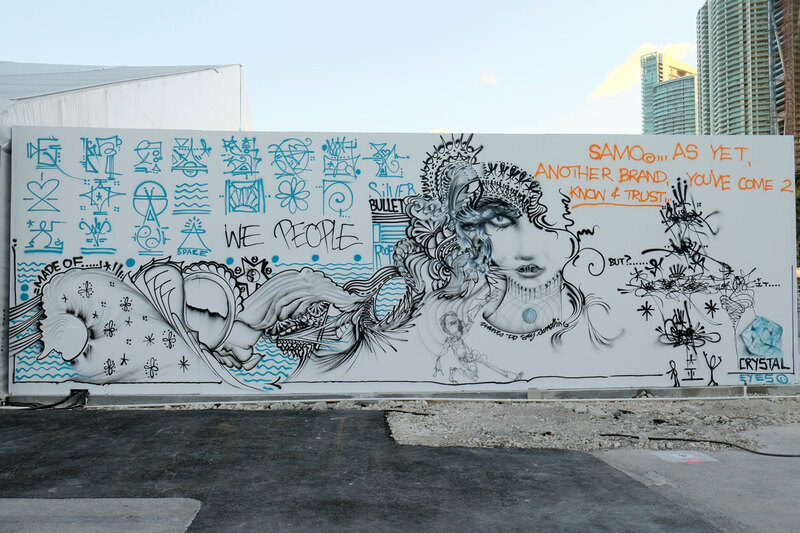 Mural at Art Wynwood honors victims of Parkland High School shooting. The mural was created by street artists Al Diaz, Danny Minnick and Edwin Baker as student survivors of the deadly Marjory Stoneman Douglas High School shooting hope to become the face of a revived gun control movement.